In case you didn’t know, it’s really a bad idea to pour fats, oils, or grease (or known as FOG) down the drain. This is a major cause for kitchen sinks to clog creating buildup down the drain. Most of the debris in restaurant plumbing problems stem from grease traps and the usual complication is gross and expensive. 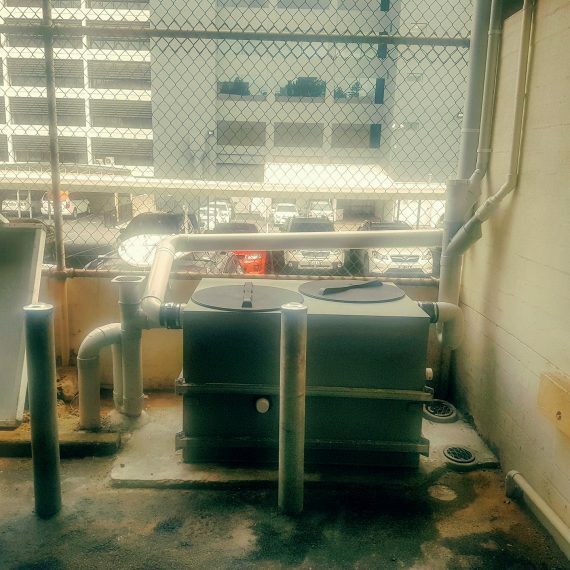 Installation of Grease Trap at your establishment is a practical and cost effective way of getting rid of these FOGs. Grease Trap or interceptor catches FOG particles and even wastewater before it could drain into the city’s sewage. Call us and let the experts at Rusty’s Plumbing do all the work for you assuring you of cost-effective service to save you time and and trouble.